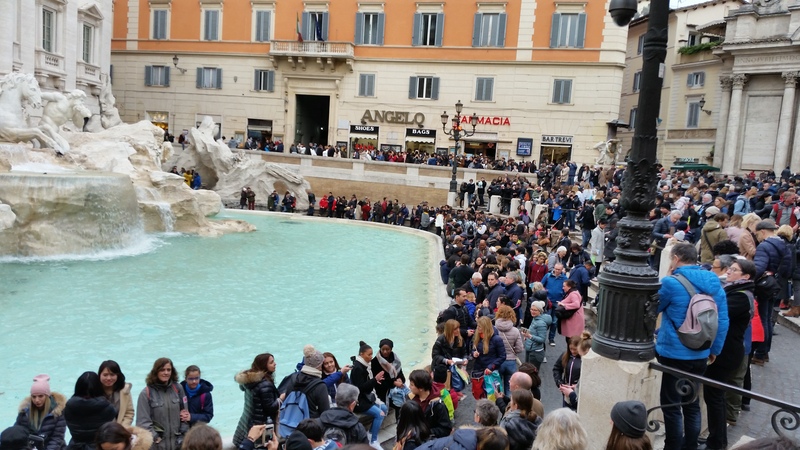 February 12, 2018: Today we visited the Trevi Fountain (Italian: Fontana di Trevi)! 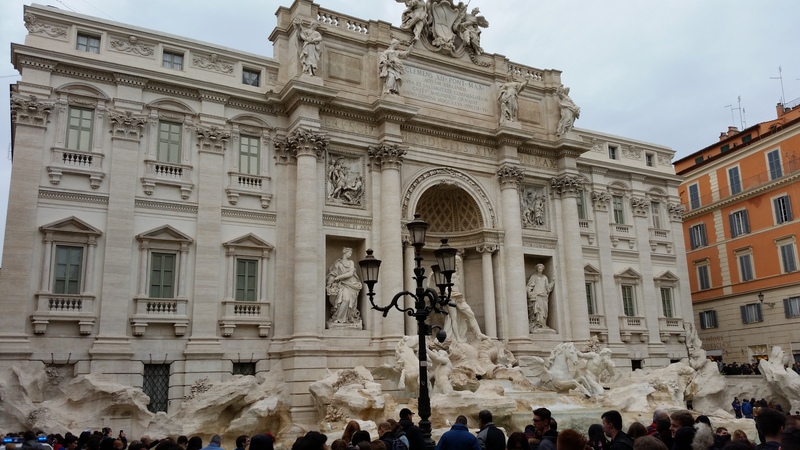 It is said to be the largest standing 85 feet high and 65 feet wide and most ambitious of the Baroque fountains of Rome. 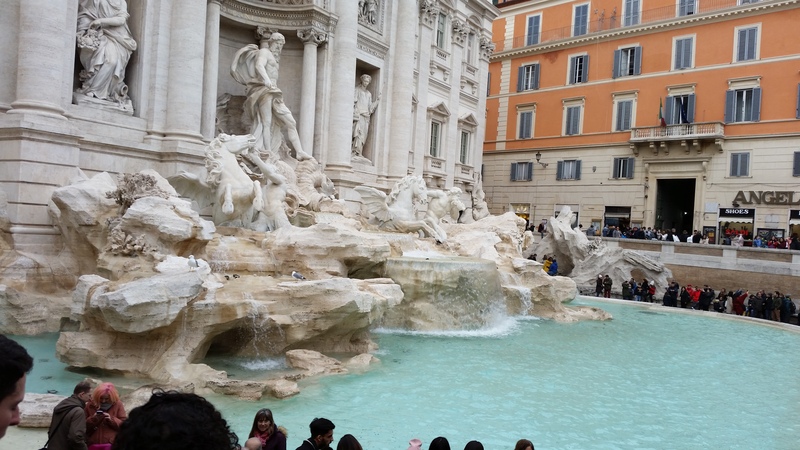 It is located in the rione of Trevi. 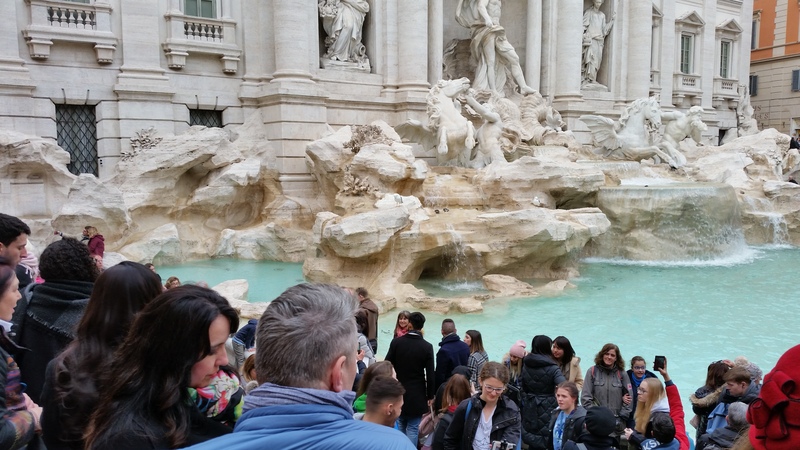 The fountain at the juncture of three roads (tre vie) marks the terminal point of the “modern” Acqua Vergine, the revivified Aqua Virgo, one of the ancient aqueducts that supplied water to ancient Rome. In 19 BC, supposedly with the help of a virgin, Roman technicians located a source of pure water some 13 km (8 miles) from the city. 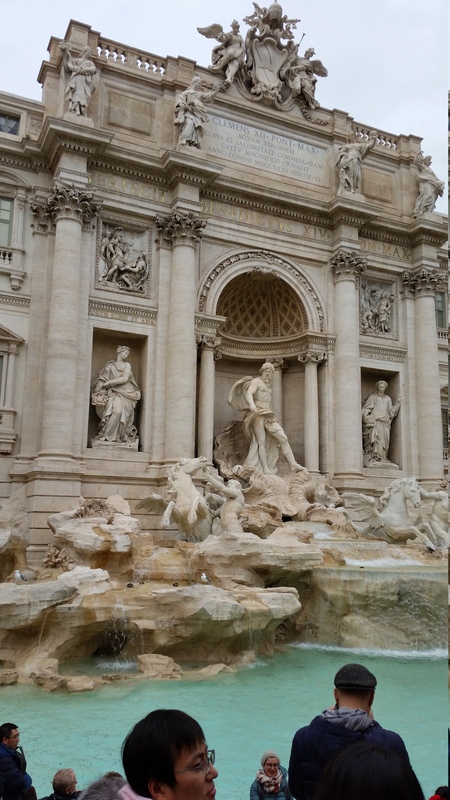 (This scene is presented on the present fountain’s facade). However, the eventual indirect route of the aqueduct made its length some 22 km (14 miles). This Aqua Virgo led the water into the Baths of Agrippa. 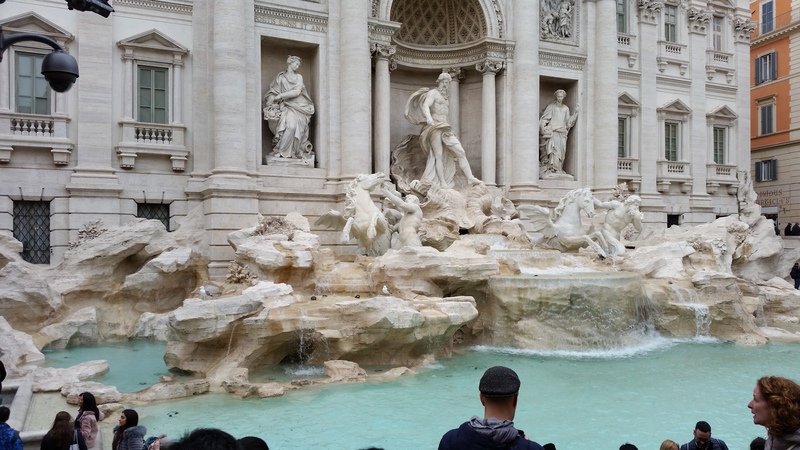 It served Rome for more than four hundred years. The “coup de grace” for the urban life of late classical Rome came when the Goth besiegers in 537/38 broke the aqueducts. 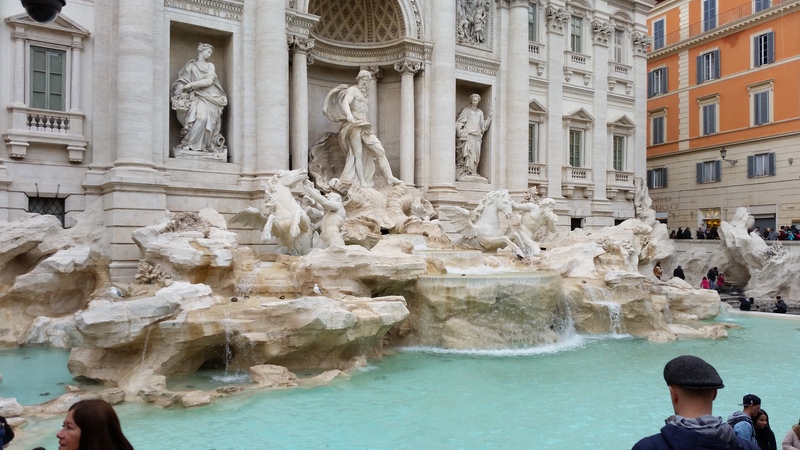 Medieval Romans were reduced to drawing water from polluted wells and the Tiber River, which was also used as a sewer.